It is interesting to note that two of the biggest companies in the gaming industry have quite similar names. These companies are GameStop and GameSpot, and it is only natural that people would confuse them with each other. Nevertheless, the two companies do have a number of distinct traits that differentiate them from each other, and they are almost as different as any two companies can be in spite of their focus on video games and their similar names. Let's take a closer look at each one and how they compare with each other. 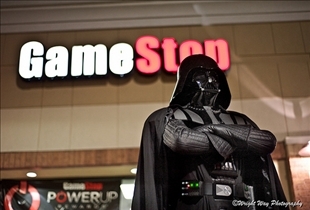 GameStop bills itself as one of the foremost video game retailers in the world. It has more than 6,100 stores in 17 other countries, including several in the United States. Of that number, a large portion is made up of EB Games and Electronics Boutique stores along with various GameStop retail outlets. 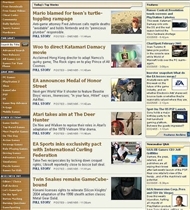 The company is also the publisher of Game Informer magazine, which is one of the most respected publications in the industry. GameSpot is no slouch either, with a more than 15-year successful run in the video game business. In fact, many argue that GameSpot is just a little more attuned to the needs of the video game market since it focuses almost exclusively on these and related products. GameStop offers a very comprehensive selection of games covering virtually every known platform in the gaming universe and then some. It is expected that support will be announced for new platforms as they are released and GameStop currently even offers a selection of pre-owned games. GameSpot for its part offers games for comparatively fewer platforms, although it does have a pretty respectable selection as well, including games for various mobile devices. GameStop offers customers a gift card that can be used in any GameStop or EB Games store in the United States. These cards can also be used at the GameStop and EB Games sites. In addition, members also get free delivery in as little as one to two weeks. GameSpot offers a number of benefits for its members as well, along with a very active community populated with some knowledgeable and helpful people. GameSpot also offers a wealth of trailers, interviews, and game guides on site, along with an extensive selection of mods, patches and updates.